Beach Lane Books, 9781416985105, 40pp. Lulu is one seriously sleepy pig. But every time she snuggles in her cozy bed, she’s disturbed by the noises of two naughty birds outside her window. Whoooooo…Coooooo….Lulu must find a way to get her wide-awake pals to pipe down. But as her frustration grows, will she be able to ask them nicely? 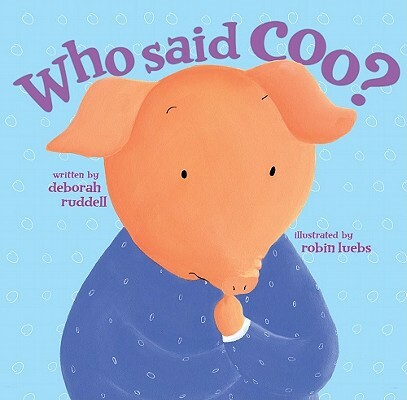 Brimming with pitch-perfect rhymes, fun-to-say animal noises, and heaps of humor, this book is a delightful read-aloud that’s perfect for bedtime—or anytime!